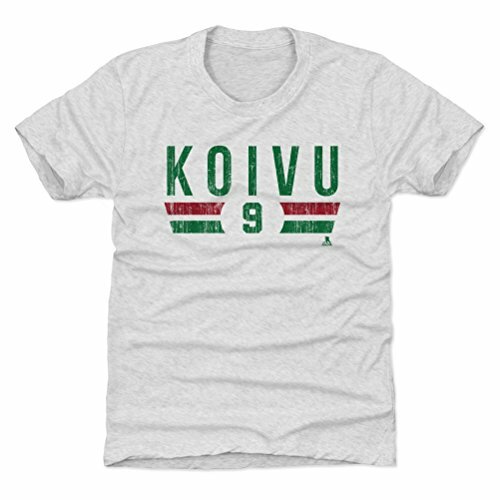 A legend amongst Minnesota Wild fans, Mikko Koivu epitomized the culture of Minnesota by leaving everything he had on the ice everytime he played! 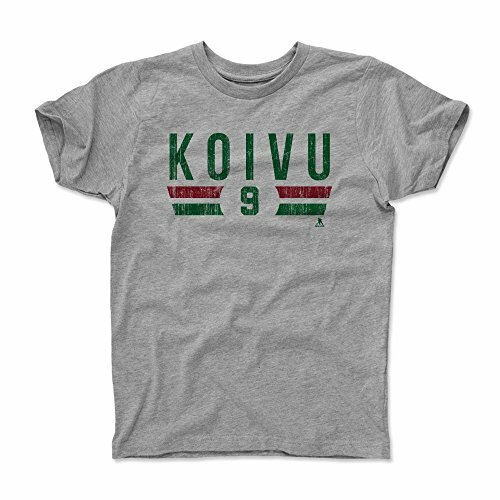 This Mikko Koivu Youth Shirt is a great addition to any young kids's wardrobe who's a Mikko Koivu and Minnesota Hockey fan! Minnesota Hockey Fan Gear and Apparel Officially Licensed by the NHL Players Association Proudly And Meticulously Made In Austin, TX Custom Artwork: Passionately Designed by 500 LEVEL artists Mikko Koivu apparel and accessories are custom and made-to-order, please allow up to 7 business days for shipping. Thank you! Minnesota Wild Ice Hockey is a participant in the Amazon Services LLC Associates Program, an affiliate advertising program designed to provide a means for sites to earn advertising fees by advertising and linking to Amazon.com, Endless.com, MYHABIT.com, SmallParts.com, or AmazonWireless.com. Amazon, the Amazon logo, AmazonSupply, and the AmazonSupply logo are trademarks of Amazon.com, Inc. or its affiliates.